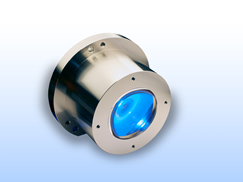 Natsume Optical Corporation (NOC) produces customized lens unit for Fly-eye Lens Unit, White-light Interferometer Head, and Objective Lens Unit for UV-Annealing. NOC achieves the centering of the assembly of Multi-element optical units, which requires critical centering tolerances, by using TRIOPTICS - OptiCentric. A Wavefront transmission interferometer is used for testing of Multi-element optical lenses in final assembly using Zernike Analysis.